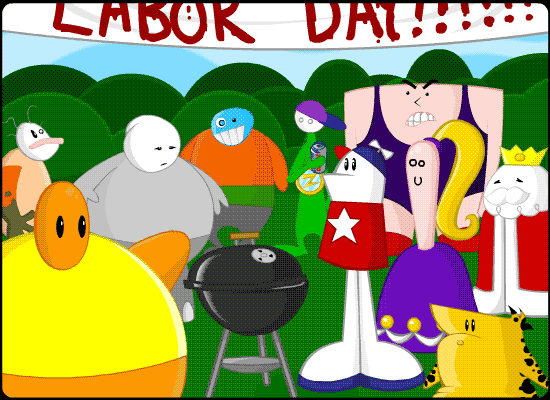 Strong Bad Email : "labor day"
Coach Z is swinging around a can of "coldson lite"
When KoT asks, click the cooler to see what's in it. The roach comes from "personal favorites" and the Sharpee from "suntan" . The tune at the BBQ is the same as in "Puppet Thing"